We provide merchants from all over the world with online and mobile payment processing and value-added services, to help them grab eCommerce opportunities and fulfill their true potential. Our Ingenico Collect and Ingenico Connect models, combined with our global expertise, broad range of payment products and network of acquiring partners, will take your business where you want to go in the world. Our Developer Hub contains all the information, resources and support you need to integrate with Ingenico ePayments’ GlobalCollect platform, including a sandbox environment for easy testing and validation. Try it out for free today! The Ogone Support Site contains all the information you need to integrate with our Ingenico ePayments Ogone platform, including FAQs, how-to guides, access to test accounts and support. Accept safe, secure and reliable online payments. Featuring a 6 ½ mile underground Mail Rail, telegrams from the Titanic, and 17th century Royal Mail horse-drawn coaches, The Postal Museum has been delivering an exceptional visitor experience since reopening in 2017. These outstanding collections had been mothballed when the original National Postal Museum closed in 1998. 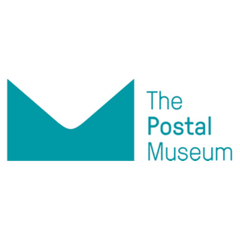 Twenty years on and the Postal Heritage Trust relaunched the experience last year, generating overwhelming online traffic from those eager to visit first. Five Guys is an American burger restaurant chain, founded in 1986, which has expanded internationally since 2003. In that time it has flourished globally, opening in over 1,500 locations. It now operates more than 60 restaurants throughout the UK and has now expanded into new markets in France and Spain with flagship restaurants in Paris and Madrid. How can I take payments in-store, online and on mobile? What is the relationship between Ogone and Ingenico ePayments? What is the relationship between GlobalCollect and Ingenico? Do you offer multichannel payments? 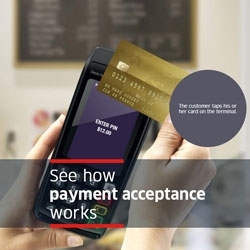 Ingenico Payment Services, a division of Ingenico Group offers multi-channel payment solutions, tailored for multi-POS retailers (top retailers, supermarkets, transport, hospitality, vending and more), secure transactions across multiple sales channels: in-store, mobile or online. We also provide a fully PCI DSS solution between all merchants’ points of sale and acquirers. Ingenico Payment Services is a separate division of Ingenico Group that provides merchants with a comprehensive range of centralized and secure in-store transaction management services. Ingenico Payment Services ensures end-to-end security, control and monitoring of merchants transactions thanks to a centralized payment solution dedicated to organized retailers. 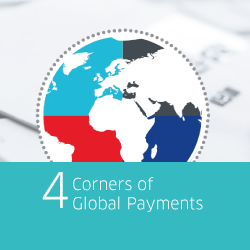 How can I get started with accepting and collecting payment methods in Europe? How can I have better business insights and analytics on my payments transactions? What is Elevate? Why does Global Collect B.V. / Ingenico e-Commerce Solutions show up on my billing statement? A merchant account is a type of bank account that allows you to offer and receive the funds from certain payment methods. Merchant accounts are provided by various banks and financial institutions – known as acquirers. You need a merchant account to authorise you to accept certain payment methods before you can start distance selling. If you want to add more payment methods to increase conversion, you usually need to open additional merchant accounts with other acquirers. We can advise you on this and introduce you to the right acquirers for your business. Depending on the market you operate in, we can also provide you with a merchant account directly. With Ingenico Collect, you&apos;re able to activate several payment methods from different acquirers, all at once – and with just one contract. By offering your customers more of the local payment methods they know and trust, you&apos;ll increase conversion and boost your online sales.